Searching for Stand Up Desks in Brisbane East? 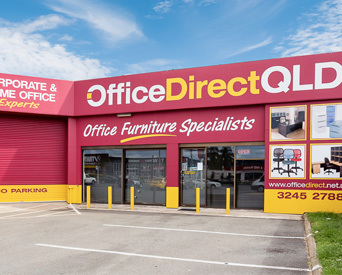 Office Direct QLD Boasts Ergonomic Desks, Chairs, and More for Every Home Office. The hours are sedentary – spent bent over a computer, back arched and legs numb. Discomfort defines the day, with you forced to sit in an uncomfortable chair. It offers no support; it relieves no pain. Instead, it keeps you hunched and hurting, and the afternoon always ends with a wince. It’s time, you know, for a change. You’re in need of ergonomic home office chairs in Brisbane East and stand up desks in Brisbane East. Frustration proves a constant companion, with your home office forcing you to remain seated throughout the day – promoting an unhealthy and uncomfortable lifestyle. Office Direct QLD wishes to change this. Since 2007 we’ve served as the leading provider of both desks in Brisbane East and desk chairs in Brisbane East, connecting our clients to the custom solutions they deserve. We deliver a wide variety of furnishings, each helping to promote active work cultures. A lack of physical activity dominates Australia’s work culture (both in traditional offices and home-based businesses). According to the Department of Health, less than 60% of adults participate in the recommended 30 minutes of moderate movement per day. This lack of exercise contributes to the global rise of breast and colon cancers, diabetes, and ischaemic heart disease. These numbers highlight the need for change – as well as the need for ergonomic home office chairs in Brisbane East and stand up desk options in Brisbane East. These products promote more efficient work spaces, encouraging employees to shed their sedentary positions. They offer comfortable, health-conscious designs that encourage daily movement. Through this, all chairs and desks in Brisbane East can substantially reduce concerns of illness – helping to battle both obesity and related symptoms. Ergonomic Desks in Brisbane East: these height-adjustable options are multi-functional, with their smooth electric or gas-lifts allowing them to rise quickly and retract. Durable propylene materials pair with convenient options (including locking casters and tablet support groves). Their wide bases ensure stability, protecting all equipment as they move. Home Office Chairs in Brisbane East: our chairs conform to the body’s natural curves, offering superior lumbar support. Their unique shapes (which include drafting chairs, lounge chairs, executive chairs, and linking chairs) allow them to adapt quickly to all work environments, while moulded foam materials provide comfort. Counter sedentary office environments (and daily pain) with stand up desk options in Brisbane East. To learn more contact us today.